Mix together the oats, sesame seeds almonds and sunflower seeds. Water over this mixture and stir well. Spread on a large cookie sheet and bake 35 minutes until nicely browned on top. 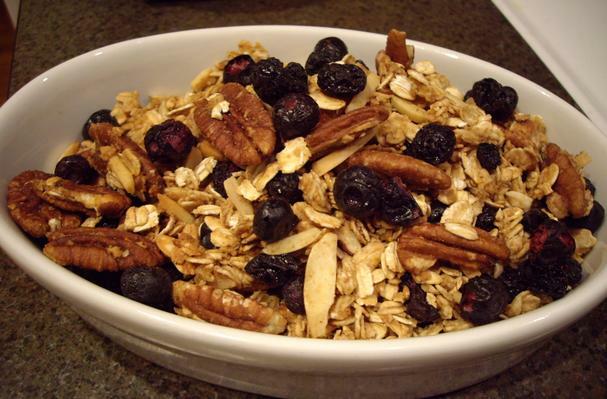 Stir the granola often while baking (about every 5 minutes). Remove from oven allow to cool and add raisins, coconut and crasins. Looks very Tasty . . . for all you granola lovers out there visit www.mixmygranola.com -- custom-made granola anyway YOU like it.